Ischemic heart disease associated with acute loss of cardiomyocytes is a major cause of heart failure. The regenerative capacity of the human heart, as in other mammals, is grossly inadequate to compensate for such a catastrophic loss of heart muscles. Despite intensive studies, a successful cell-based therapy to replace the lost cardiac muscles has yet to emerge. The work in our group focuses on the roles of hematopoietic lineage cells in cardiac repair with the ultimate goal to tackle the limitation of myocardial regeneration. 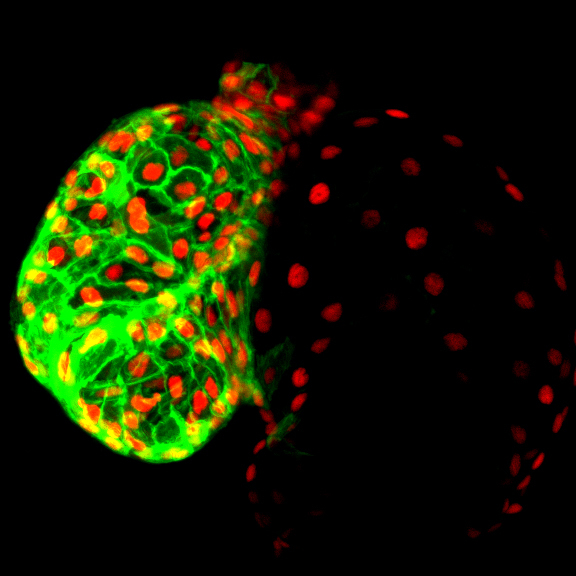 We are taking advantage of the zebrafish unique ability to replenish the injured heart with fully functional cardiac muscles throughout life to elucidate how hematopoietic-cardiac cell interactions contribute to this process and to identify the cellular and molecular regulators responsible for this remarkable regenerative capacity. In the 1920s German physiologist Otto Loewi set a milestone in neuroscience by demonstrating the existence of chemical synaptic transmission, showing that acetylcholine could slow down heart beat. While the control of heartbeat by the nervous systems is today textbook knowledge, we still know very little about the influence of neurons on other aspects of cardiac physiology. For example, it is now recognized that the nervous system can affect the regenerative capacity of the myocardium, but much is left to learn on cellular components and regulatory mechanisms underlying neuronal communications with cardiac-resident and circulating cells recruited to the injured heart. We aim to understand how the nervous system influence cardiac repair through interactions with elements of the immune system and stem cells. The central nervous system and peripheral organs engage in bidirectional communications essential for normal functioning of an organism. The digestive system conveys important information about nutritional status to the brain, which can cause profound alterations of neuronal activity. For example, a hungry animal will pay more attention to food-related sensory cues, and will optimize its behavior in order to acquire food sources. The brain also engages in bidirectional interactions with the immune system. For instance, brain activity generated in response to psychological stress modulates immunity, thereby impairing defenses against pathogens. On the other hand, immune cells can feedback to regulate central nervous system function and ultimately behavior. These interactions also play a central role in the development of disease states. Disruption of brain-gut communications leads to eating disorders such as anorexia and obesity. Alterations of brain-immune signaling has been associated with depression and obesity. The cellular and molecular events underlying these interactions are still not fully understood. 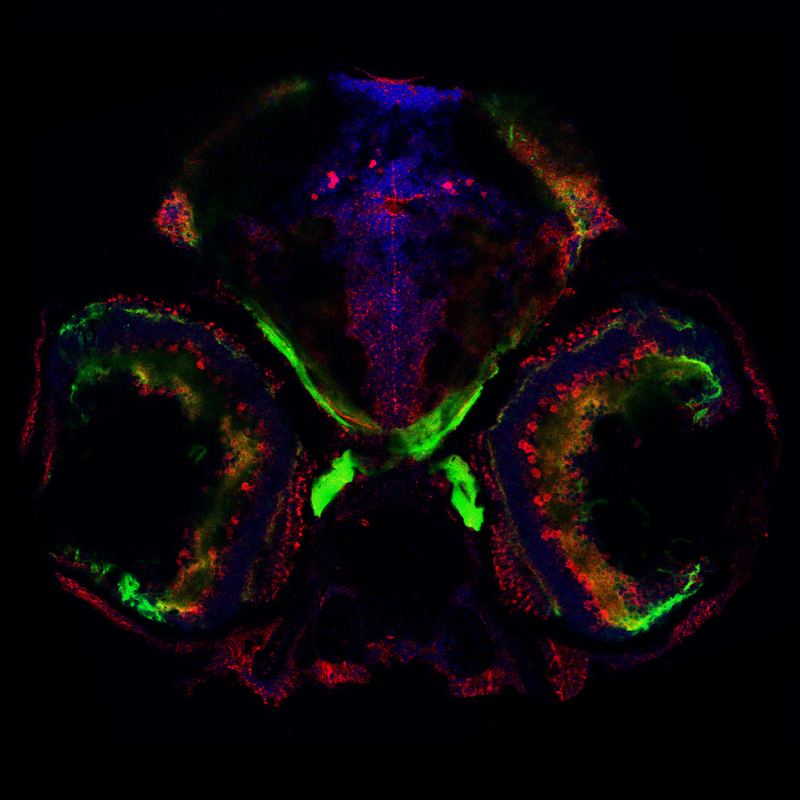 We are taking advantage of the small and translucent brain of zebrafish larvae to investigate how metabolic and immune signaling affects brain circuits mediating behavior in physiological and pathological conditions.